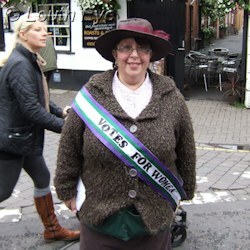 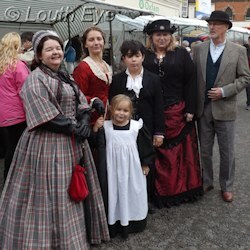 The sun and the costumes came out for Louth's fourth annual Victorian Fayre on Sunday, 20th October. 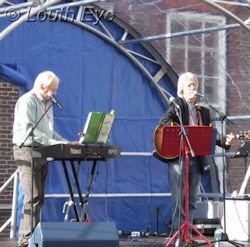 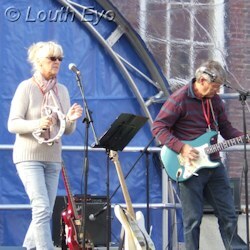 There was music on the stage in the town centre, as well as some roaming entertainers. 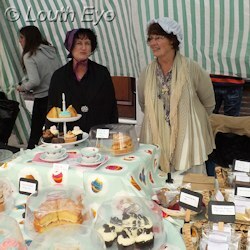 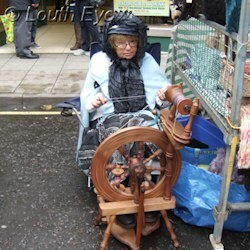 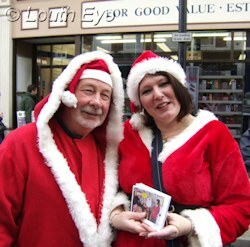 I think there were fewer charity stalls this year compared with the 2012 Victorian Fayre, although I'm not sure why. 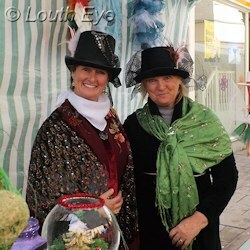 In the afternoon members of the Lincolnshire Victorians judged the costumes. 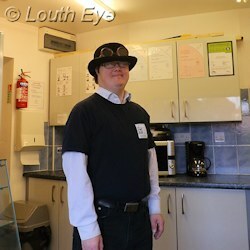 Anne-Marie Leek won the prize for the best home-made costume for an adult, whilst Holly and Jeremy from Louth came first in the shop-bought or hired category. 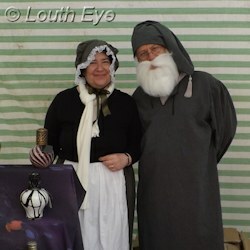 For the children, Evan Holt won the shop-bought or hired costume category, whilst Louise from Louth won the home-made category for her Queen Victoria costume. 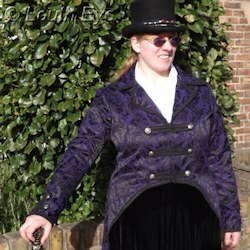 I don't have any pictures of the winners, but I did notice one of the winners was in the same purple and black tailcoat I'm wearing in the picture on the bottom left. 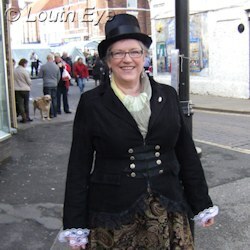 I bought that, and the frilly white shirt to go with it, in Salamander in Lincoln. 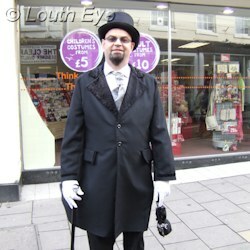 It's just off the High Street, on Park Street, and it has the most gorgeous alternative clothing. 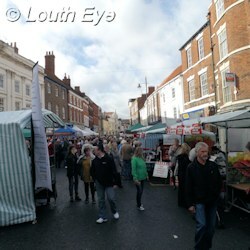 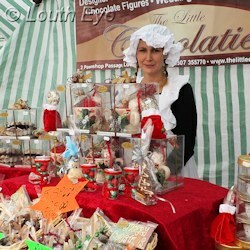 The next big event market in Louth will be the Christmas craft market on 1st December, which is also organised by the Louth Town Partnership. 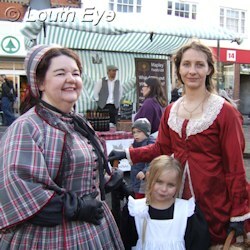 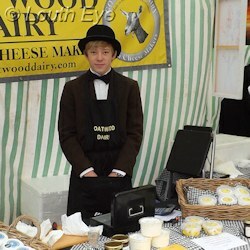 The third annual Victorian Family Fayre was bigger, better, and thanks to George Horton camper than ever before.